We are pleased to introduce a highly experienced team who are skilled in the management of the treatments and surgical care that we offer. Each will be glad to advise you within their respective areas of expertise and will make your contact with our service a supported experience. They have the qualifications and experience to offer the highest standards of advice, treatment and support. Mrs Chris Frederick is Personal Assistant to Professor Lees and will normally be your first point of contact. She deals with all telephone calls, post and emails. 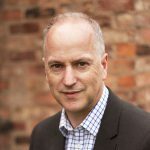 Chris has managed the practice since 1999 and was previously a medical secretary in the NHS for 14 years, both in plastic surgery and other specialties. Her further experience includes administration for a national charity and PA at Board level in the retail and engineering industries. However, she has always most enjoyed working in medical practice, liaising with patients to ensure that they have the best experience of our service and to make your association with us as pleasant and straightforward as possible. 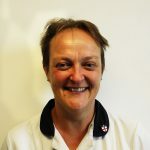 Staff Nurse Alison Holmes has worked as Practice Nurse for Professor Lees since 2000. She qualified as Burns & Plastic Surgery Nurse in 1994 whilst serving in the Queen Alexandra Royal Army Nursing Corps. Since leaving the Corps in 1999 she has worked at BMI Alexandra Hospital as well as working in cosmetic clinics so has extensive experience in the range of treatments which the practice offers. She is expert in wound management as well as having trained in a range of non-surgical treatments. She is usually with Professor Lees in clinic. 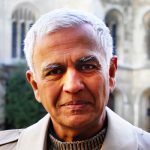 Dr Selwyn Roberts, Consultant Anaesthetist and honorary lecturer at Manchester University, studied at Cambridge and Oxford Universities and qualified in 1982. He trained in anaesthesia in Chester and Manchester. 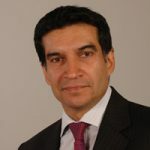 A consultant at The University Hospital of South Manchester, the Christie and the Alexandra Hospitals, he has 25 years experience as a specialist in anaesthesia for Plastic Surgery. His major interests include anaesthesia for cosmetic surgery, hand and wrist surgery under regional anaesthesia and microsurgery. Dr Douglas Greig, Consultant Anaesthetist, studied Medicine at St. Andrews and Manchester Universities, qualifying in 1987. He trained in anaesthesia in Manchester and the North West. He was appointed as a Consultant Anaesthetist in 1997. He works at the Wythenshawe and BMI Alexandra Hospitals where his major interests include paediatric anaesthesia, regional anaesthesia, anaesthesia for burns and plastic surgery and anaesthesia for head and neck surgery. Dr Greig is a member of the Association of Burns and Reconstructive Anaesthetists. He is the Difficult Airway Lead and also Chair of the Sedation Group at South Manchester University Hospitals NHS Trust. Dr Indeewar Kapila is Consultant in Anaesthesia and Intensive Care Medicine. He studied medicine at the University of Glasgow, Scotland and qualified in 1990. After initial training in the major teaching hospitals in Glasgow he decided to specialise in anaesthesia and intensive care medicine in Leicester and Manchester. He was appointed to the post of consultant in anaesthesia and intensive care medicine at University Hospital of South Manchester and at The Christie Hospital in Manchester in 2000. His major interests include intensive care medicine at both NHS hospitals, anaesthesia for plastic, reconstructive and cosmetic plastic surgery, orthopaedic and trauma surgery and the application of regional anaesthesia to the above specialities. He has NHS commitments to South Manchester University Hospital NHS trust and Christie Hospital NHS Trust. He also works at the Alexandra and Spire hospitals in Manchester. 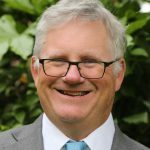 Mr Ash Pawade is a retired Consultant Paediatric Cardiac surgeon who formerly worked at Bristol Children’s Hospital and was responsible for turning around the children’s heart unit in the wake of the Bristol Heart Scandal. He runs two charities including Hands for Life dedicated to providing hand surgery to a rural Indian community. He enjoys wildlife photography. He assists in managing the practice and acts as a point of contact and is pleased to offer an out of hours answering service for our patients out of hours (07.00-22.00 hours). In addition to his medical qualification he holds Master Business Administration and further qualification in medical law and ethics. Karen is a member of the Chartered Society of Physiotherapy and registered with the Health Care Professions Council (HCPC). She is a member of the British Association of Hand Therapy (BAHT). 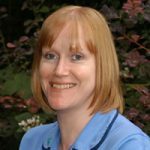 Karen is employed by the University Hospital of South Manchester (Wythenshawe Hospital) as a Clinical Specialist Hand/Wrist Physiotherapist, with over 25 years of experience in assessment and treatment of hand and wrist problems. She also has musculoskeletal physiotherapy experience and ergonomics knowledge. Denise qualified as an Occupational Therapist in 1985. She gained BSc (Hons) in Healthcare and Welfare (Biomechanics, physiology and development and re-education of human movement). 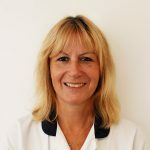 Denise has specialised in hand therapy since 1987, setting up and developing Stockport’s hand Occupational Therapy service and subsequently Trafford’s hand service. She now works at University Hospitals South Manchester where she works as Senior Hand Therapist in the regional plastic surgery unit treating a wide range of elective and traumatic conditions of the hand. Denise is a regular attender of accredited courses with British Association of Hand Therapists. Denise treats the breadth of hand surgery conditions and has a special interest in sensory problems including nerve injury and sensory re-education, complex regional pain syndrome, osteoarthritis of the thumb, joint replacement, congenital hands and functional rehabilitation. Denise offers specialist splinting skills and adopts a holistic, integrated and individualized approach. Sarah gained many years of experience in the general musculoskeletal field in the NHS before working in New Zealand in 1995 where she became interested in the management of hand injuries. She has specialised in hand therapy ever since, working at the University Hospitals South Manchester hand unit since 2000 as a clinical specialist practitioner and team leader managing both traumatic and non traumatic hand conditions, she has developed a special interest in hand fractures, tendon and peripheral nerve injuries. 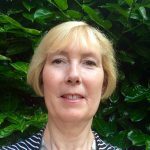 Sarah is a longstanding member of the British Association of Hand Therapy (BAHT) joining their executive board as a director in 2006 then leading as Chairperson from 2010 to 2011. She has also co-led the North West Hand Therapy Group since 2001. 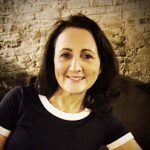 Sarah has lectured at both national and international hand joint surgeons’ and therapists’ conferences and has undertaken extensive post graduate educational courses in hand therapy. She has also co-authored several published articles and also reviews submissions for the European Hand Therapy journal.